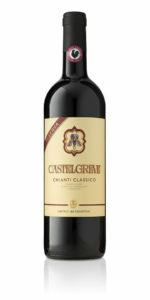 Chianti Classico is an early example of an Italian wine denomination, although this name was not used at the time. This historical first occurred back in 1716, and so well before the creation of the DOC and DOCG classifications. Grand Duke Cosimo III de’ Medici decided to issue a proclamation defining the boundaries of areas particularly suited for the production of high quality wines. 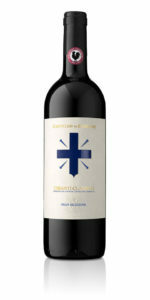 These included the Chianti territory, or what is today’s Chianti Classico zone. 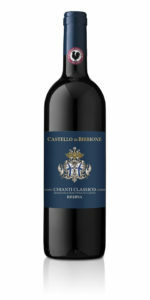 The edict reads: “per il Chianti è restato determinato e sia. Dallo Spedaluzzo fino a Greve; di lì a Panzano, con tutta la Podesteria di Radda, che contiene tre terzi, cioè Radda, Gajole e Castellina, arrivando fino al confine dello Stato di Siena” (The Chianti has been determined to extend from Spedaluzzo to Greve; from there to Panzano, with all the municipality of Radda, which contains three parts, that is Radda, Gaiole and Castellina, and as far as the border of the State of Siena). In 1924, the Consortium was established to safeguard and protect Chianti and the symbol of the legendary “black rooster” was adopted: marking another first in Italy. 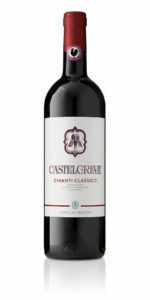 The “Classico” suffix was added in 1932, to distinguish the Chianti Classico area from that of Chianti production outside the historical boundaries; while the DOCG designation was assigned in 1984. But after more than three centuries, the area that has given such status to both Tuscan viticulture and the Sangiovese variety (which makes an 80% contribution) is now preparing for a rethink. The main red grape varieties, in addition to the famous Sangiovese, are the native Canaiolo and Colorino and the international Cabernet Sauvignon and Merlot. 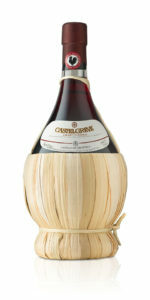 The Castelli di Grevepesa cooperative has about 120 members in the heart of the Chianti Classico zone, with vineyards mainly in the area of Greve in Chianti, San Casciano Val di Pesa, Tavarnelle Val di Pesa and Barberino Val d’Elsa, and three different production lines for this wine: Castelgreve, Clemente VII and Castello di Bibbione. 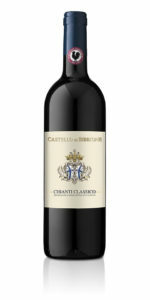 One of the main innovations of recent years has been the introduction of Gran Selezione as the top classification for Chianti Classico. 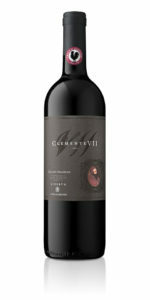 The grapes for Gran Selezione must be harvested from a single vineyard, and the wine must be aged for at least 30 months before going to market. So unlike the Riserva (aged for at least 24 months), these wines are always selected vintages from individual wineries.